Tony (Kyung-il) Lee is the president and CEO of Saltlux, Inc the Knowledge Communication Company, headquartered in Seoul, Korea. He received B.S. and M.S. in Information and Communication Engineering (ICE) from Inha University of Korea. 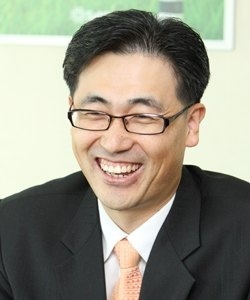 He is director of the 'Korea Association for Semantic Information Technology'. Tony is one of the few pioneers in the field of semantic technologies in Asia and has contributed to the Korean Government’s semantic web R&D plan and to the industrial dissemination. He was honoured with Best Paper Prize from Samsung and Best Software Award from Korean Government and the president of Korea. Saltlux are leading on work package five, the use cases for DaPaaS.